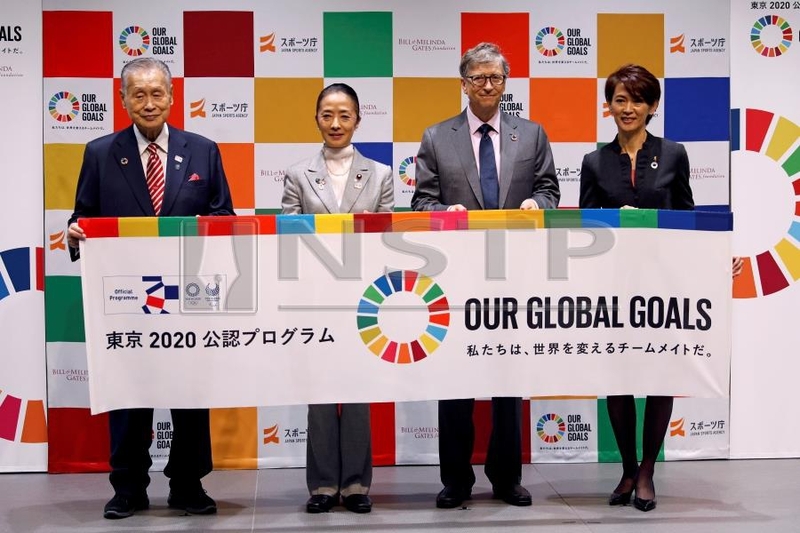 TOKYO: US billionaire philanthropist Bill Gates will launch an ‘Our Global Goals’ partnership with the Japan Sports Agency and Tokyo 2020 Olympic organisers in an effort to achieve the United Nations Sustainable Development Goals (SDGs). Gates, the co-founder of Microsoft and the world’s second richest person, has devoted much of his time in recent years to his family foundation, which aims to help reach the SDG objectives, including ending extreme poverty and combating climate change by 2030. “Today, Japan spends around three to five percent of its aid budget on global health, so there is an opportunity to do even more. “The sports community in Japan is fast approaching an exciting moment, as the eyes of the world will be on Tokyo as the Olympics get nearer.